Sebastian Canaves is Germany’s most well-known travel blogger. He is now exploring northern Germany in a Porsche Panamera and – true to his motto “Off the Path” – will be revealing some special exclusive tips. Sebastian Canaves has a yearning for travel in his blood. The professional travel blogger grew up in a small town on Majorca and during the course of his life has lived in eight different countries, among them Australia, the Netherlands and Thailand. But that is not all: at the age of 25 he has already visited all the continents and more than 60 countries. Travelling is an essential part of his life – and that is why he started his blog “Off the Path” in 2011. He reports of his adventures all over the world and provides his readers with inspiration and valuable advice for planning their trips and choosing destinations. The Panamera adventure starts off in Berlin. Hamburg is the first destination with the Gran Turismo. A paintball match and the “best burgers in the city” await Sebastian Canaves in the port. A ship’s party with urban hip-hop beats closes the first day of travel. The travel blogger heads off to Timmendorfer Strand, where the action continues with sport: wakeboarding and water-skiing are on the agenda. The Panamera finally brings him to his hotel on the Baltic Sea for a well-deserved rest. What’s next? Off to the beach! Canaves sets off in the Panamera to Kiel. After modest refreshments on arrival, he has his sights on the next destination: kite-surfing in Laboe. Four hours in the icy water cannot dampen his enthusiasm. 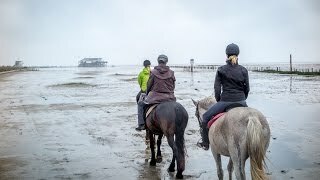 A new day, a new adventure: Canaves drives from Alt Duvenstedt to St. Peter Ording. There he makes a stop at a riding centre. With so much sporting activity, Canaves has certainly earned himself a session in the spa centre during the afternoon. No breaks allowed, it’s time to head back to Berlin: a 430-kilometre driving experience in the Panamera. Canaves is always on the move – and is already planning his next tour. Porsche Leipzig has opened its doors to more than 250 car enthusiasts. Among them: Magnus Walker. For the Russian chef Mnatsakanov, a driving experience is comparable to a gastronomic experience. 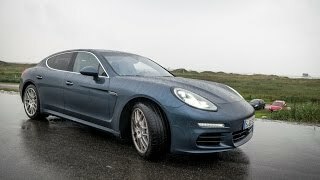 Porsche has added two GTS models to its Panamera range: the Panamera GTS and Panamera GTS Sport Turismo.